Esso el seino la Usuario Seito vom Estrangulador de Soplones. This is the user page of the evil Estrangulador de Soplones`. For I cannot speak any Spanish, I'm only registered here, because I'm Administrator at English and German SpongePedia. 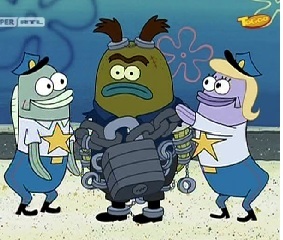 In English SpongePedia, I'm known as the even more evil TattleTaleStrangler. Esta página fue modificada por última vez el 13 ago 2018, a las 20:16. Esta página ha sido visitada 1.519 veces.